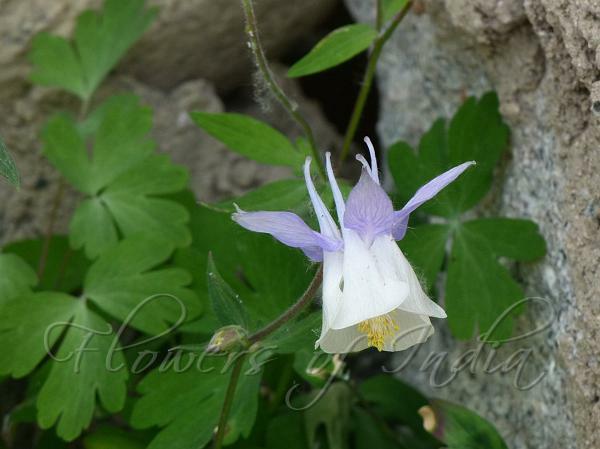 Moorcroft's Columbine is a beautiful wildflower of the Himalayas. Flowers are purple, usually several, occasionally solitary, distinguished by their long straight or slightly curved spurs which are longer than the blade of the inner petals. Basal leaves are twice ternate, leaflets glaucous, obovate and further lobed, 1-2 cm across, hairless above, finely hairy below. Follicles are long hairy, styles hooked. 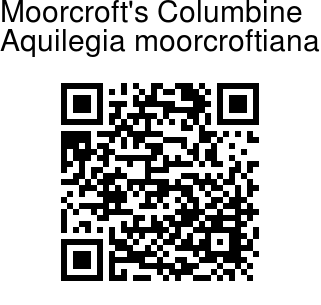 Moorcroft's Columbine is found in the Himalayas, from Afghanistan to SE Tibet, at altitudes of 2700-4200 m. Flowering: June-July.